You've probably heard about the Goss Avenue Beautification Project over the last few months, whether by reading Mike Morris' proclamation in the SACC newsletter or hearing mention of its progress during an SACC general meeting. Regardless, you probably have a few questions, such as what exactly the entire project entails. We hope we can clarify any questions you may have and give you enough information to approach us with any questions, concerns or support you may have. Goss Avenue is one of the busiest streets that comprises Schnitzelburg (it is Schnitzelburg's boundary to the northeast) and has many bustling businesses and restaurants that are heavily patronized. 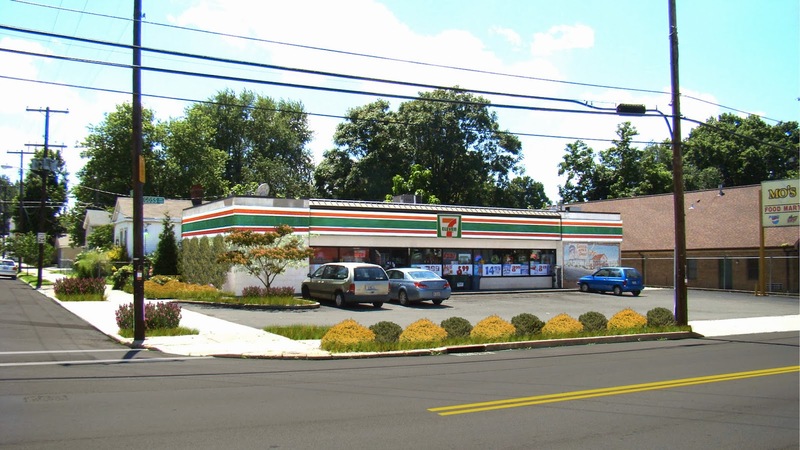 Businesses include a major grocery chain, a doggy daycare, two restaurants, two pubs, two convenient stores, two beauty parlors, a tool repair shop, a plumber, a mechanic, a lawyer, and many more locally owned enterprises. 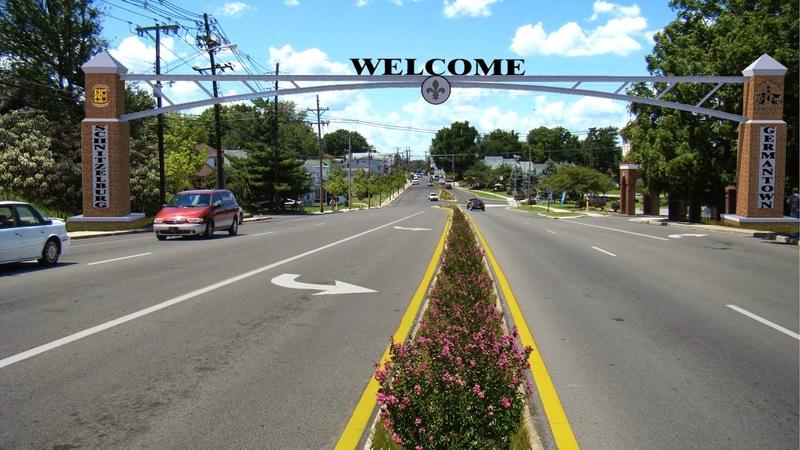 It is our hope that the beautification will lead to creating a "Main Street" for Germantown and Schnitzelburg that will benefit both current businesses, future businesses, residents, and visitors to the area. Early last year, with the help of Jim King, the SACC obtained a comprehensive plan and drawings that would kickstart the project from UK graduates. These drawings would serve as inspiration, rather than a blueprint. The following renderings are merely representations of what Goss Avenue COULD look like, NOT what it WILL look like. The renderings, as well as the plan that supports them, are guides for constructing what we want to do with Goss Avenue and serve as inspiration to how we will improve the aesthetics, mobility, and functionality of Goss Avenue. Planters with greenery and public art on the corner of Goss and Texas. More greenery, a small mural, and fixed signage added to Mo's Food Mart. 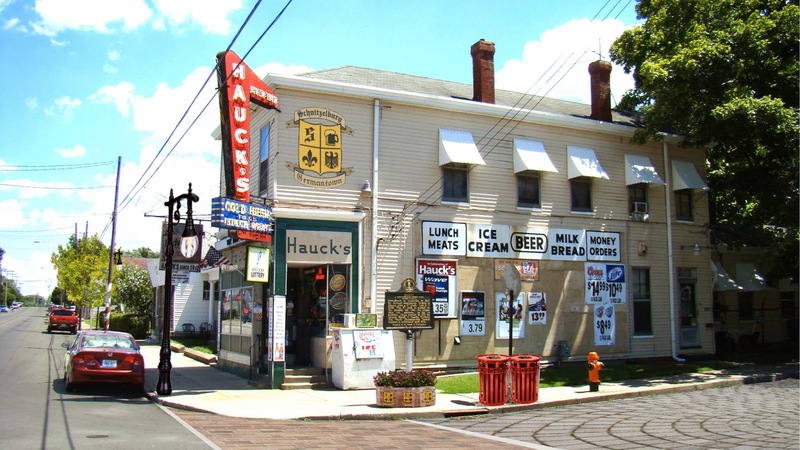 New lighting, trash cans, and planters at Hauck's. Proposed pervious pavers to improve walkability for pedestrians. Looking Northwest on Goss: More trees, new lighting, and defined parking spaces. Streetscape of Goss Avenue with a new row of trees and freshly painted pavement. Like any project on a scale this massive (and being undertaken by volunteers), change will happen very gradually and through small improvements. Currently, the committee has met to discuss ideas and desires, as well as compose a list of priority items for the project. These priority items meet the goals of improving infrastructure and walkability, as well as endorse the idea of enhancing green space. 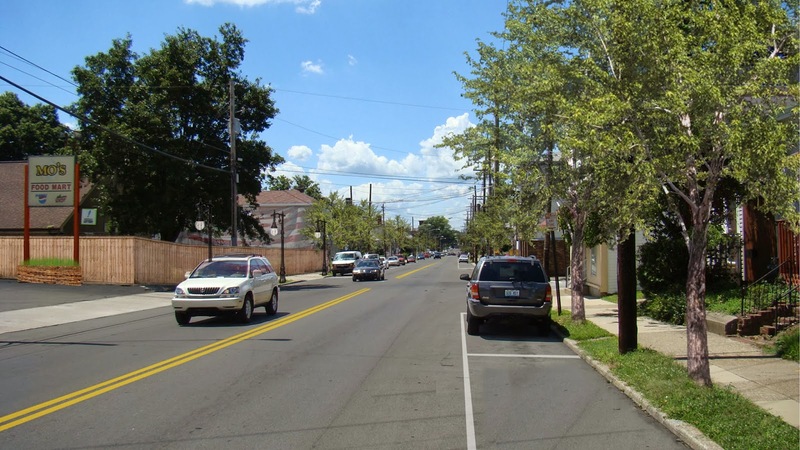 They include: adding new street lights, updating and adding trash cans, landscaping, adding trees to easements and possibly bump-outs, refreshing street markings and adding defined parallel parking spaces, adding crosswalks at intersections, and looking into traffic calming. Individual projects by board members are already underway and you will start to see changes happening along Goss Avenue soon, such as a "green" art installation, a mural and beautification project at the intersection of Goss and Logan (more on this to come), landscaping on the hill at Krieger and Goss, and a remodel of the building at Goss and Texas that we mentioned in a previous post. 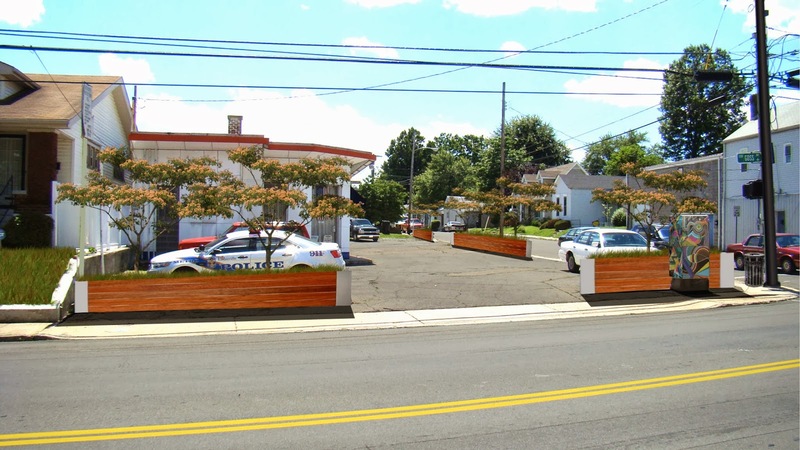 As well as meeting to undertake the beautification project, the Goss Avenue Advisory Committee also reviews rezoning cases that affect the area, such as the rezoning of Eiderdown, the VFW Post, and the Germantown Mill Lofts project. The committee drafts statements for the record that reflect the sentiments of both SACC and GPNA. We are very exited about this project and we hope you share in this same excitement. We welcome any and all feedback from the community as we move forward with this project. In coming months, anticipate a community forum on the Goss Avenue Beautification Project that will allow residents to join the conversation. In the meantime, you can always contact the SACC by filling out the comment form on the right side of this page, or emailing us at schnitzelburg@yahoo.com. Cant wait, will look amazing! Actually, Goss Ave. pretty much connects major grocery stores at EACH end, since many people from our community walk on Goss to go right into the property of the grocer at the north end. This whole beautification project should raise recognition of our neighborhood as well as lift our spirits. Yes please to all of those improvements! I understand your concerns and wish that there as been more communication about the lane changes. The fact of the matter is something needed to be done & hopefully the trained professionals that decided this was the best course of action are correct. All we can do is try to make our community better. As for cyclists, I feel they have to judge for themselves what streets are safe to travel on. I hope you will consider getting more involved in our community via SACC &/or GPNA-we need more people who care & have ideas! Thanks to the folks who are taking this on. It is appreciated. I live at Goss & Texas. I would love to see this intersection re-worked. It is flat out dangerous at rush hour, and I worry about bikers most of all. It needs improved visibility. The pictures seem like a good start to me. 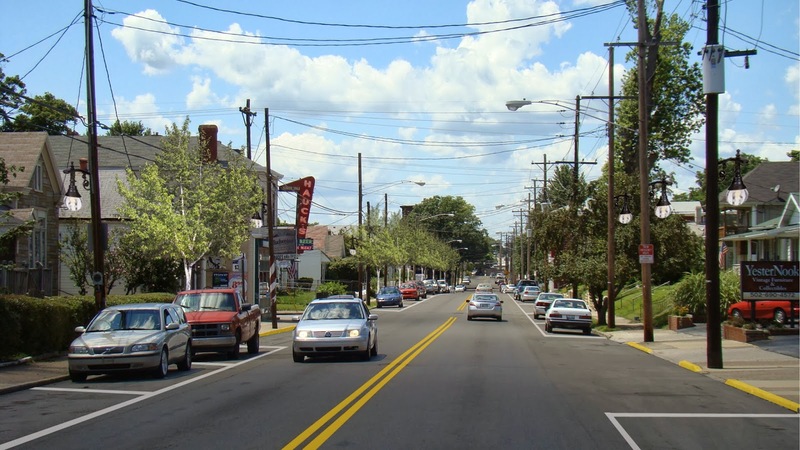 As Germantown seems to be experiencing a rebirth of sorts, it would really be nice to see some improvements in the scenery as well as some practical infrastructure changes. Adding that in the center of goss makes it too narrow for cars to drive through because of on street parking. Also people pull out into traffic all the time and this will block way for us to swerve out of a collision. * Old traffic lane next to ^THAT now-traffic-lane becomes a 2-way bike lane with yellow divider in the middle! BTW I didn't make this up on my own - you see this a lot in places like Montreal. You might even be able to make the traffic lane a bit bigger since the bikes might not need all the space of a traffic lane.